Born in Louisiana, John earned his veterinary degree at the University of Georgia in 1980. He completed the Master of Avian Medicine degree in 1983 and a PhD degree in Medical Microbiology in 1985 at the University of Georgia, USA. John spent his professional academic career at the University of Georgia. Hired in 1984, he retired in 2011 as Professor, Chair of the Department of Population Health, and Director of the Poultry Diagnostic and Research Center. His research work focused on avian mycoplasmas, bacterial diseases, and Newcastle disease. With colleagues, he developed commercially successful vaccines for fowl cholera (PM-One Vax) and Newcastle disease (Avinew). John devoted much of his time to instruction of students, particularly in the Master of Avian Medicine degree program. During his career, he has mentored 21 PhD students, 10 MS students, and 40 Master of Avian Medicine students. Also, he worked closely with the US poultry industry on disease diagnostic and control issues. His work has taken him to all parts of the world, where he has contributed to the development of poultry disease control programs. John has served on the Editorial Board of Avian Diseases for 10 years and the Journal of Applied Poultry Science as associate editor for 5 years. He has also been an associate editor for Isolation and Identification of Avian Pathogens for 18 years and Diseases of Poultry for 17 years. He has written many publications during his career from 1984 until the present that include: 31 Industry/Lay Publications, 77 Abstracts for Invited/Professional Meetings, 12 Book Chapters, and 63 Refereed Publications. John has given 212 professional oral presentations over his career. 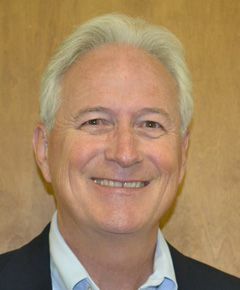 Since retiring from the University of Georgia, John has served as Vice President of Research for the US Poultry & Egg Association. In that capacity he manages the association’s competitive research grants programs. John has been married to Kathryn Masters Glisson since 1977. They have four children and three grandchildren. John is an enthusiastic amateur plant breeder and spends much of his spare time breeding grapes on his small farm in north Georgia.